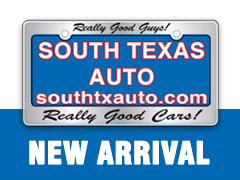 WELCOME TO SOUTH TX AUTO! South Texas Auto has been in the business of selling quality, pre-owned vehicles in San Antonio Texas for nearly 6 years. We opened our doors in 2008, after many years of managing new franchise dealerships in the Alamo City, as well as a large, high volume used car dealerships around the state. When going out on our own, we started South Texas Auto on 7905 Bandera Rd, offering a selection of about 20 used cars. Our Mission Statement: The mission of South Texas Auto. is to deliver the ultimate customer experience in the purchase of a quality pre-owned vehicle. We operate politely and professionally, with only the best intentions to put our customers in a vehicle that best suits their needs and budget. We are committed to our moral and ethical value, operating all transactions with integrity and courteousness.